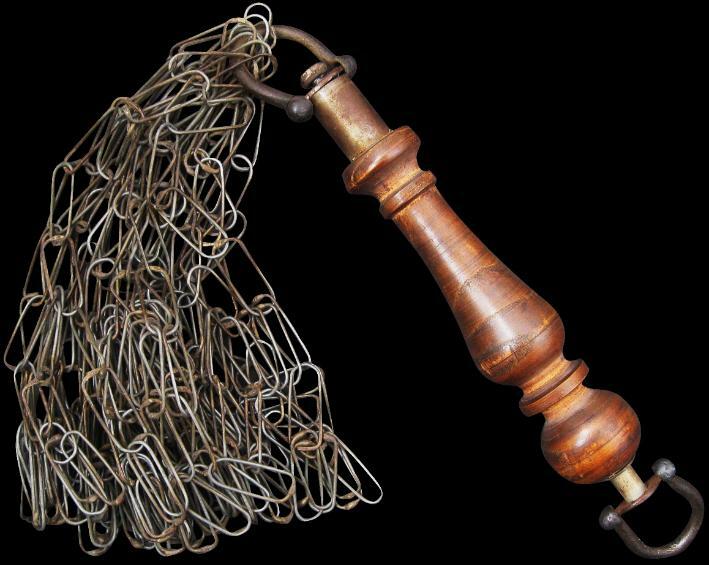 This whip comprises a turned wooden handle fitted with an iron loop at either end and with multiple iron chains attached to one end. Whips such as this example might also have been used by more mainstream Shiite adherents. The Shiites are followers of Ali whose son Hussein fought against the Sunnis. He was captured, tortured and beheaded in 656 and in honour of Hussein’s memory annual processions are staged in Iran/Persia in which frenzied followers beat and whip themselves with chains and branches.